My maternal grandmother came of age in the 1930s, when ice-boxes were the norm in the kitchen, before refrigeration. She was always interested in cooking while growing up, and as the eldest child, was responsible for many domestic chores at the family home. I have many fond memories of cooking along with her during the annual summer vacations I would spend with her. We'd spend a day cooking and then bring picnic lunches along during our walks along the Hudson River Aqueduct, picking wildflower bouquets, stopping at the little library for our books, collecting shells and stones along the shores of the Hudson River and window shopping along the downtown of her historic village, Dobbs Ferry, New York. 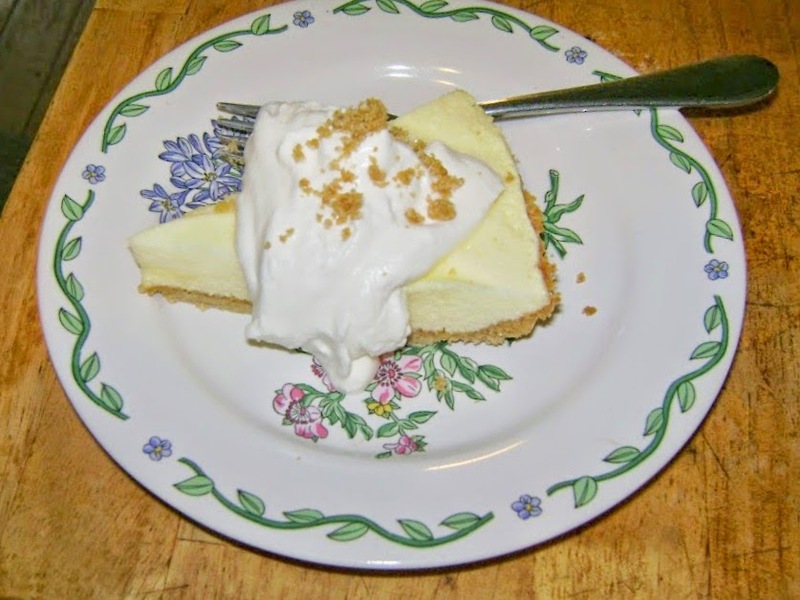 One of the treats she taught me how to make was Lemon Chiffon Pie in a graham cracker crust. The vogue for gelatin desserts seems to have reached its crescendo during my grandma's youth, but we both loved its sweet and sour taste and light texture, which seemed just right for muggy summer days. My grandma's original recipe called for a graham cracker crust, which I needed to adjust for our gluten-free kitchen. We also used to use a whisk to beat the egg whites and heavy cream into submission, which required quite a bit of bicep strength. Thank goodness for my electric mixer! I recently had a hankering for this pie and for savoring the memory of my delightful grandmother, so this recipe was trotted out and fiddled with to make a gluten-free version for my family's Thanksgiving feast. My kids were disappointed that this showed up in place of the traditional pumpkin pie, so I suppose I'll have to produce some when they are home visiting (ransacking) my house for Christmas. However, husband Dan and I loved this elegant dessert. Make the crust first by crushing graham crackers into crumbs. You can use a paper bag and a rolling pin like grandma and I used to do or whizz them up in a food processor like I do now. Add 1/3 cup sugar and softened butter and mix well. Press into two glass 9 inch pie pans and bake in preheated 375 degree F oven for 8-10 minutes. Let cool. Dissolve gelatin in cold water and let soften 5 minutes. Beat egg yolks well and add in 1/2 cup sugar, lemon juice and salt. Beat until foamy. Place in top of a double boiler and cook, stirring constantly, until they are thickened, about 5 minutes. Don't let the mixture go and return to have scrambled eggs instead. Vigilance is the key here. Let cool. Add lemon rind and gelatin mixture to thickened egg yolks. Beat reserved egg whites with remaining 1/2 cup sugar until stiff peaks form. Fold into yolk mixture, taking care not to do so too vigorously so as to destroy fluffy egg white texture. When thoroughly mixed, fold into graham cracker crusts, cover with plastic wrap and let chill until set, about 2 hours. Beat heavy cream with vanilla and extra sugar to taste. Serve each slice of pie with a generous dollop of whipped cream, or alternatively, spread whipped cream over each pie and chill another hour before serving. That each troubled mortal finds. When she makes a lemon pie. Which is mother's lemon pie. 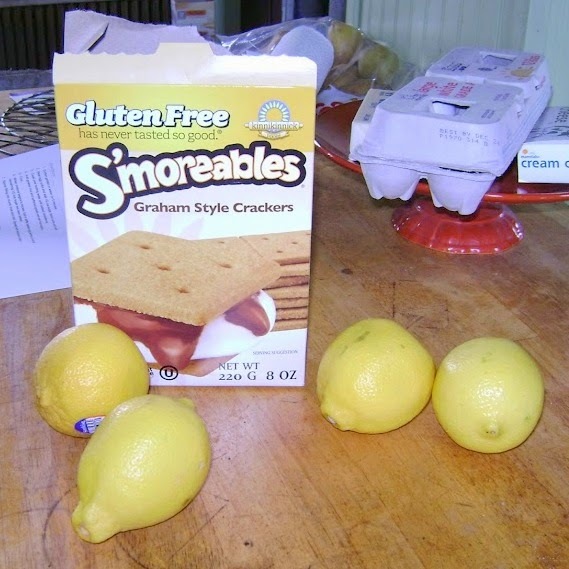 Which is known as lemon pie. I am sharing this post with Weekend Cooking, a weekly blog event hosted by Beth Fish Reads, where cooks gather to swap food-related -sometimes food-book-related- posts. Please stop by to see what others have written about this week.